Well, hasn’t 2016 been eventful. The ups and downs of Brexit, the Queen’s 90th, Andy Murray winning Wimbledon, Trump, Bake Off to Channel 4 and something close to the hearts of every buy to let landlord and homeowner in Doncaster … the Doncaster property market. 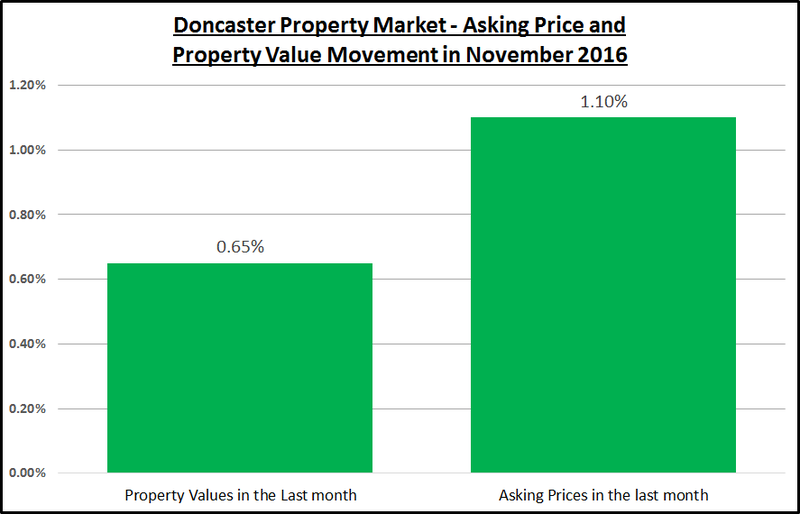 In the last month, Doncaster property values rose by 0.65%, leaving them, year on year 6.45% higher, whilst interestingly, Doncaster asking prices are down 1.1% month on month. All three statistics go to show the Doncaster property market has recovered well after the summer lull, which was worsened by the uncertainty surrounding the EU vote back in June. 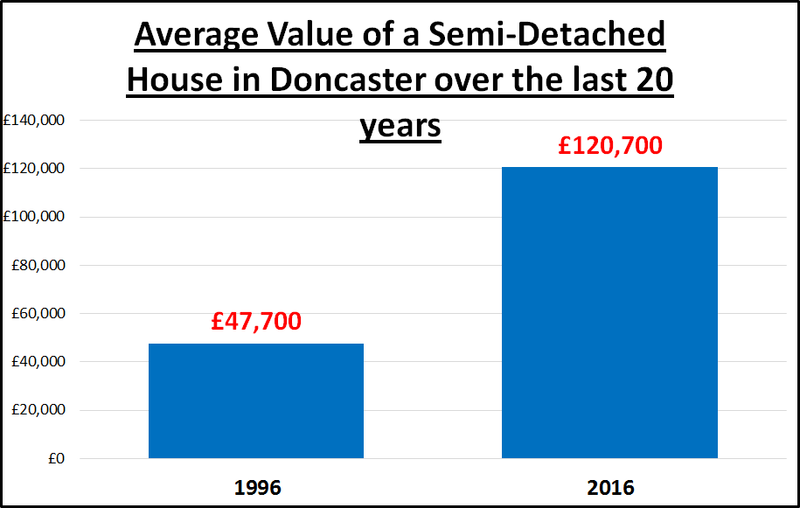 Irrespective of all the issues, the average value of a Doncaster home now stands at £155,300. 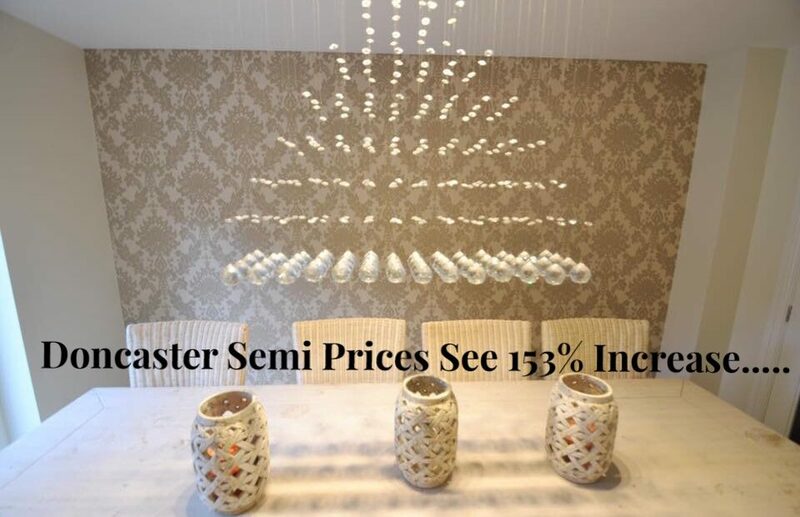 Generally, Doncaster asking prices continue to hold up well, as asking prices are 4.1% higher year on year. At this time of year, asking prices tend to drop on the run up to Christmas and locally, they have dropped by 1.1% this month (November 2016), although this compares well with last year’s drop in Doncaster asking prices, as we saw asking prices drop by 2.2% in November 2015. 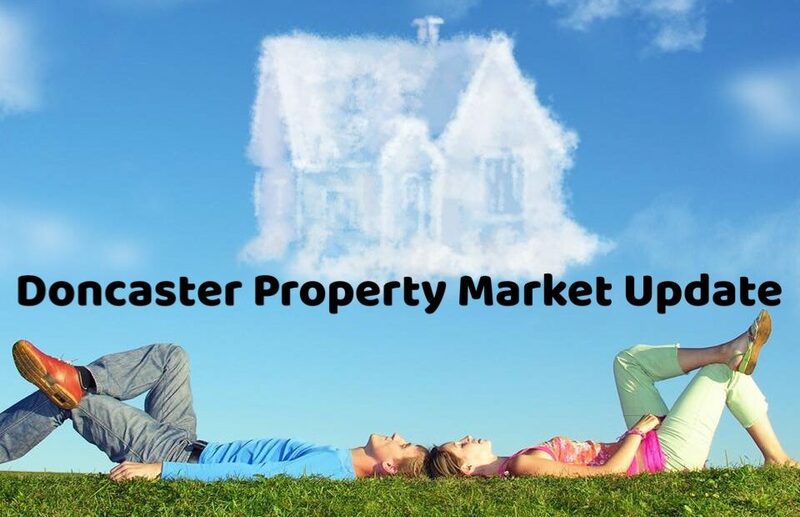 Now it’s true to say, after chatting with fellow property professionals in Doncaster, all of us have seen the number of property sales fall slightly, suggesting a slowing market, but it is very early days and it could be the time of year. Also, the numbers are limited, so it’s interesting to take note from a recent survey by the Royal Institution of Chartered Surveyors, stating new buyer enquiries and new instructions are falling at the same rate, suggesting that there will not be a downward pressure on property values. Looking at the figures for the UK (as we can’t just look at Doncaster in isolation), property values are generally rising slower than a few years ago, but on a positive note, there’s still growth across the UK. You see, slowing property value growth isn’t solely Brexit related, but after a number years of double digit rises in property values, affordability has weakened and cooling price growth is widely seen to be a natural correction of the market. So, what will happen in 2017 in the Doncaster property market? Some say until we know what type of exit the UK will make from the EU it is hard to evaluate the outcome. Although, I believe, the whole Brexit issue is a sideshow to the main issue in the UK (and Doncaster) housing market as a whole. As I have mentioned time and time again over the last few months, the biggest issue is demand outstripping supply when it comes to the number of households required to house us all. Doncaster has an ever-growing population: with immigration (we still have at least two years of free movement from EU members into the UK), people living longer and the fact we need thousands of additional households as the country has nearly 115,000 divorces a year (where one household becomes two households). These are interesting times ahead! Another good investment property I have found for sale which is offered with no upward chain and in a very desirable area; Edenthorpe on Far Field Close. It’s on the market with W H Brown for £120,000 and is described as a well presented home enjoying a position at the head of a cul de sac with a pleasant rear aspect overlooking recreational ground. It has ample off road parking provided by a driveway. Recently we have let a similar property around the corner for £575pcm which gives you a return of 5.8% – not bad! If I can be of any help to you in your buy to let search then don’t hesitate contacting myself Frances on 07896 988366 or visit me in branch for a coffee. 1. There’s an increase in the number of people visiting online property websites during this time (as suggested by 50% of survey respondents). So once the dinner has been eaten and the tin of chocolates is being passed around, lots of people spend their time searching online for their dream home. 2. Serious house hunters continue their search over the Christmas period (47% of survey respondents). Don’t miss out on these group of home buyers by waiting until January 2017. 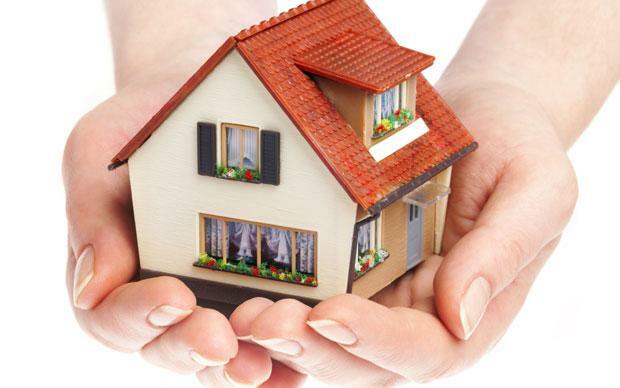 A national network of estate agents, Relocation Agent Network is well placed to comment on all-things-property. Each of their members (including Moss Properties) has been handpicked and specially invited to join, after thorough checks identify them as the best estate agent to represent the Network in their local area. As a selected member of Relocation Agent Network, we’ve already proven that our customer service is deemed to be the best in Doncaster (in the Network’s opinion). But if that isn’t enough, through our membership, we can offer sellers a completely unique channel of buyer that no other estate agent in Doncaster can provide. Visit www.relocation-agent-network.co.uk/how-we-can-help-you.aspx to find out more. Contact Frances today on 07896 988366 to find out more. The semi-detached house with its bay windows and net curtains has long been ridiculed as an emblem of safe, lacklustre and desperately uncool suburban life; the homes of the likes of Hyacinth Bucket in Keeping up Appearances and more latterly Alan Partridge – but they could have the last laugh – having enjoyed one of the highest price growths of any property type in Doncaster, up by an average 153% increase in the last fifteen years. The semi can now laugh in the face of its posher detached counterpart, which saw a rise of only 97% in the same 15-year period. Looking at smaller properties, flats/apartments only rose 89%, whilst terraced houses did better at 211% (even though they were starting from a lower base and demand from buy to let landlords has had a big part in driving the values on that type of house (i.e. the price a buy to let landlord is prepared to pay is driven by the rent the landlord can achieve). There are 20,129 semi-detached properties in Doncaster and they represent 43.68% of all the households in Doncaster. Doncaster has such a mix of semi-detached properties with the older classic bay fronted semis to more modern ones built in the last couple of decades. Especially with the older ones, the semi offered a hall to provided separation between the reception rooms and privacy for their occupants. Also the downstairs offered larger rooms to accommodate dining tables, whilst upstairs, bedrooms were smaller, yet cosy. However, probably the most overlooked aspect of popularity for semis is the garden. The front garden, designed to separate the house from the world, and the back garden designed for private relaxation. 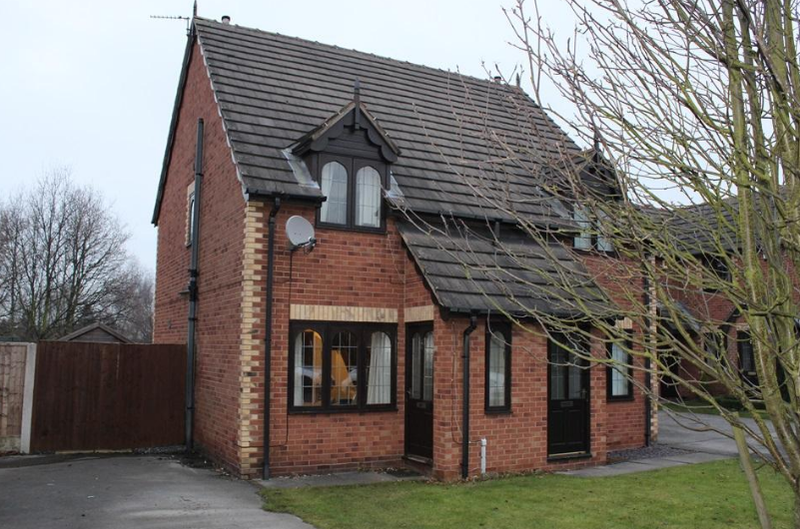 The semi in the suburbs was relaxing, well presented, plumbed and enhanced by a garden so that when a window was opened the air had a chance of being genuinely fresh… and it’s for all those reasons why 575 semi-detached houses have been sold in Doncaster since March 2016 alone. Still as popular today as they were with the Victorians all those years ago – some things just stand the test of time! Doncaster Landlord and Tenants – What does the tenant fee banning order mean for you? 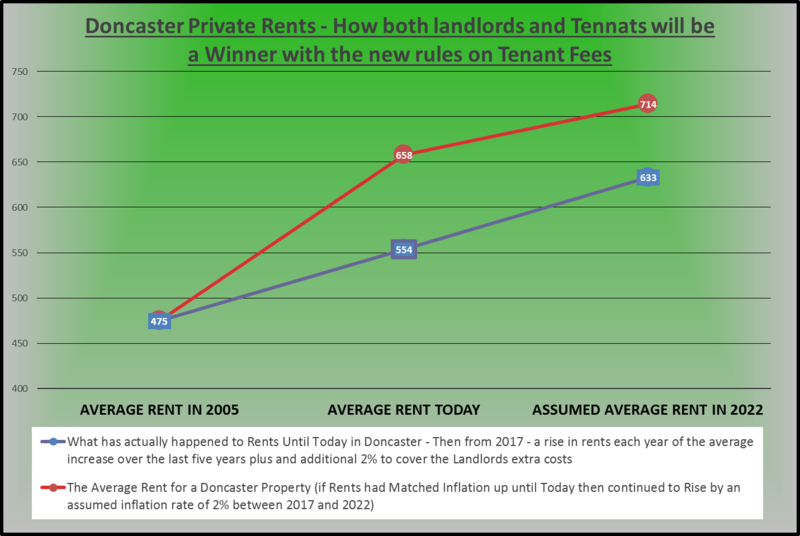 With our new Chancellor of the Exchequer revealing a ban on tenant fees in his first Autumn Statement on Wednesday what does this actually mean for Doncaster tenants and Doncaster landlords? The private rental sector in Doncaster forms an important part of the Doncaster housing market and the engagement from the chancellor in Wednesday’s Autumn Statement is a welcome sign that it is recognised as such. I have long supported the regulation of lettings agents which will ensconce and cement best practice across the rental industry and, I believe that measures to improve the situation of tenants should be introduced in a way that supports the growing professionalism of the sector. Over the last few years, there has been an increasing number of regulations and legislation governing private renting and it is important that the role of qualified, well trained and regulated lettings agents is understood. Although I can see prohibiting letting agent fees being welcomed by Doncaster tenants, at least in the short term, they won’t realise that it will rebound back on them. 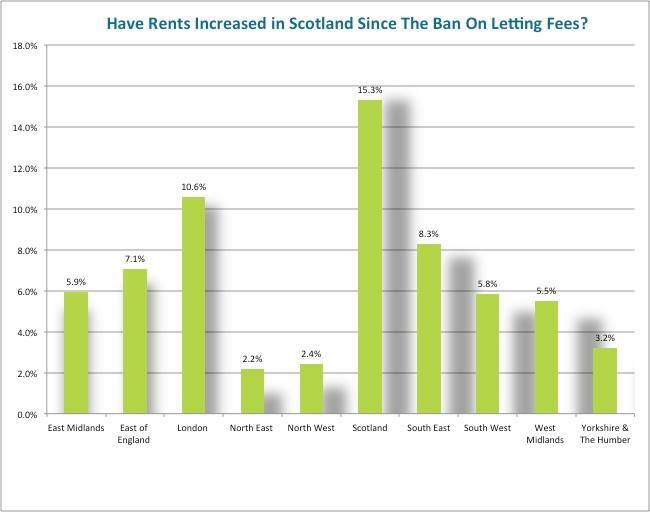 I find it strange they don’t seem to mention what has happened to rents in Scotland in 2014, 2015 and 2016. because that tells us a completely different story! I have carried out my research up to the end of Q3 2016 and this is the evidence I have found. (CityLets being the equivalent of Rightmove North of the Border – so they know their onions and have plenty of comparable evidence to back up their numbers). and let me remind you about Scotland 15.3% increase. 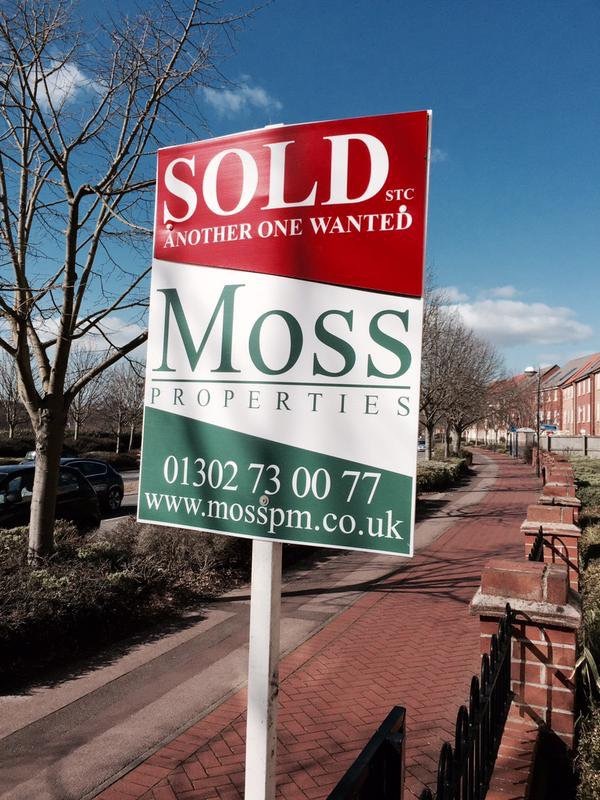 So what will happen in the Doncaster Rental Market in the Short term? Well nothing will happen in the next 12 to 18 months, it’s business as usual! As a responsible letting agent, I have a business to run. It takes, according to ARLA, (Association of Residential Letting Agents) on average 17 hours work by a letting agent to get a tenant into a property. We need to complete a whole host of checks prescribed by the Government; including a right to rent check, Anti Money Laundering checks, Legionella Risk Assessments, Gas Safety checks, Affordability Checks, Credit Checks, Smoke Alarm checks, Construction (Design & Management) Regulations 2007 checks, compliance with the Landlord and Tenant Act, registering the deposit so the tenants deposit is safe and carry out references to ensure the tenant has been a good tenant in previous rented properties. All of which the vast majority of lettings agents take very seriously and are expected to know inside out making us the experts in our field. Yes, there are some awful agents who ruin the reputation for others, but isn’t that the case in most professions? I, along with every other Doncaster letting agent will have to consider passing some of that cost onto my landlords in the future. Now of course, landlords would also be able to offset higher letting charges against tax, but I (as I am sure they) wouldn’t want them out of pocket, even after the extra tax relief. The current application fee for a single person at my lettings agency is £300 and for a couple £375, meaning on average, the fee is around £337 .50 per property. That means £337.50 needs to found in additional fees to the landlord, on average, every two years. In 2005, the average rent of a Doncaster Property was £475 per month and today it is £554 per month, a rise of only 16.7% (against an inflation rate (RPI) of 38.5%). Using the UK average management rates of 10%, this means the landlord will be paying £797.76 Inc Vat per annum in management fees. If the landlord is expected to cover the cost of that additional £337.50 every two years, rents will only need to rise by an additional 2% a year after 2018, on top of what they have annually grown by in the last 5 years. So, if that were to happen in Doncaster, average rents would rise to £633 per month by 2022 (see the red line on the graph) and so the landlord would pay £911.52 per annum in management fees. which would go towards covering the additional costs without having to raise the level of fees. .. but that is bad news for Doncaster Tenants? Quite the opposite. Look at the blue line on the graph). If the average rent Doncaster tenants pay had risen in line with inflation since 2005, that £475 per month would have risen today to an average of £633 per month. (Remember, the average today is only £554 per month), and even if inflation remains at 2% per year for the next six years, the average rent would be £714 per month by 2022, meaning even if landlords increase their rents to cover the costs tenants are still much better off, when we compare to the £633 per month figure to the £714 per month figure. .. and the agents that charged the silly high application fees well that’s their problem. At least I know I can offer the same, if not a better service to both my landlords and tenants in the future in light of this announcement from Phillip Hammond. 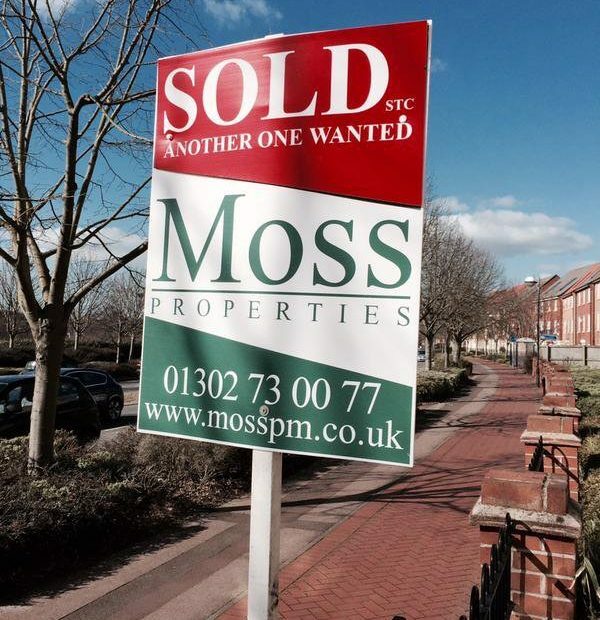 Email me on Natalie@mosspm.co.uk or call on 07818 007152. If you are in the area, feel free to pop into the office – we are based on 1 Princes Street, Doncaster, DN1 3NJ. There is plenty of parking and the Coffee machine is always on. Don’t forget to visit the links below to view back dated deals and Doncaster Property News. It’s a two bedroom first floor apartment for sale with no upper chain TheProperty Hive. They say it is well presented, offer open plan modern living, has allocated parking which is a bonus but most importantly has consistently generated £500pcm for the last 5 years. The Property Hive have put an asking price on this property of £85,000 and knowing this development very well I would say that’s spot on. 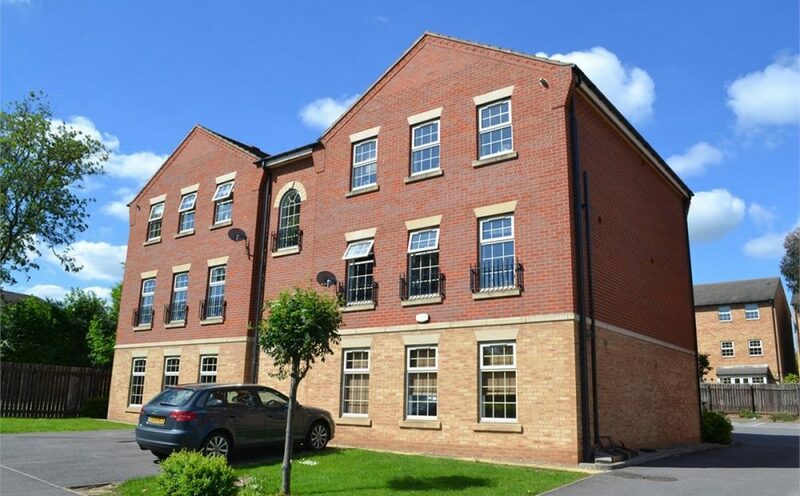 It’s a popular development for buy to lets and we let one here recently for £550pcm. So what is the rental yield, well if we take the annual income from the rent and divide it by the asking price that gives us 7.7%! This is the link to the property on Rightmove for more information…. Call me on 07896988366 to discuss and arrange a coffee to chat in more detail about the Doncaster property market. However, ultimately, responsibility has to rest on the shoulders of Theresa May. Whilst our new PM has many plates to spin, evading on the housing crisis will only come at greater cost later on. What a legacy it would be if it was Mrs. May who finally got to grips with the persistent and enduring shortage of homes to live in. The PM has already referenced the ‘need to do far more to get more houses built’ and stop the decline of home ownership. However, she has also ruled out any changes to the green belt policy – something I will talk about in a future up and coming article. 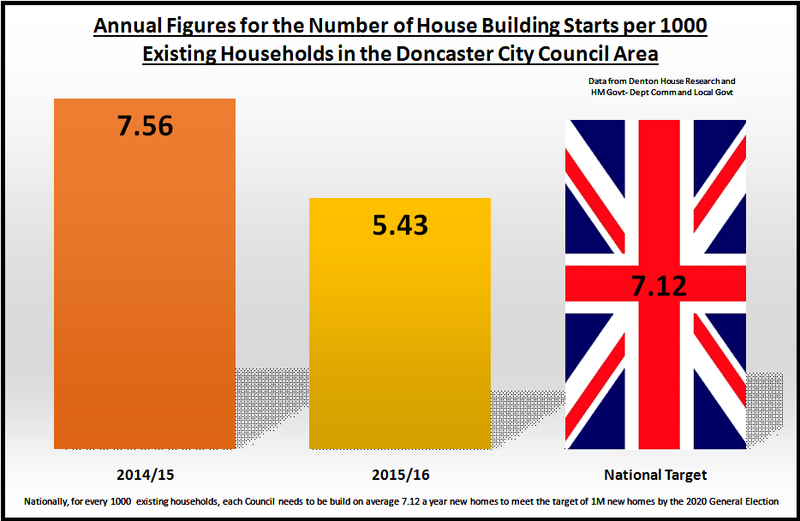 Hopefully these statistics will raise the alarm bells again and persuade both residents and Councilor’s in the Doncaster Metropolitan Borough Council area that housing needs to be higher on its agenda.